We all like to get more out of our supplies, and today's card does just that. Cassandra here, sharing a technique to create a textured background using a stencil. 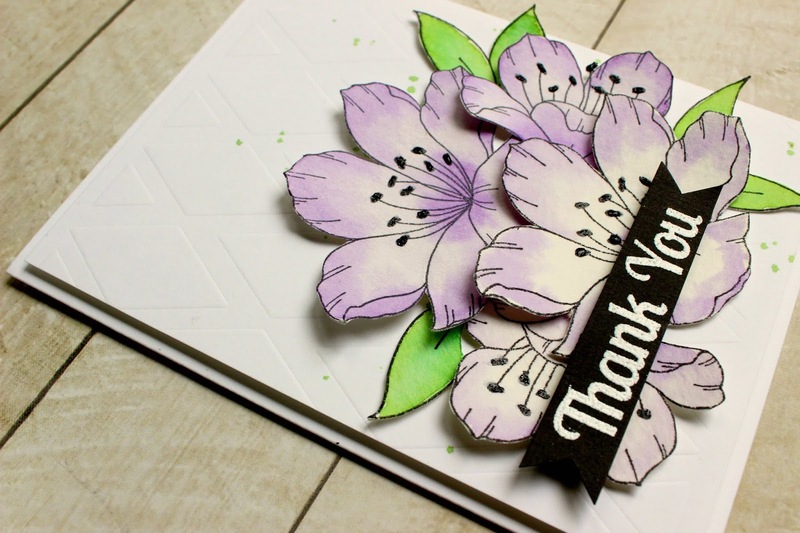 I started this card by running the Diamond stencil with a 4 1/4 x 5 1/2" piece of cardstock through my die cutting machine with an embossing pad to create a dry embossed textured background. I splattered it with Grass Green Nuance mixed with watercolour. Once dry, I trimmed off a 1/4" from the side and the top so that it would fit onto a 4 1/4 x 5 1/2" cardbase. I added dimension by adhering it with adhesive foam to the base. 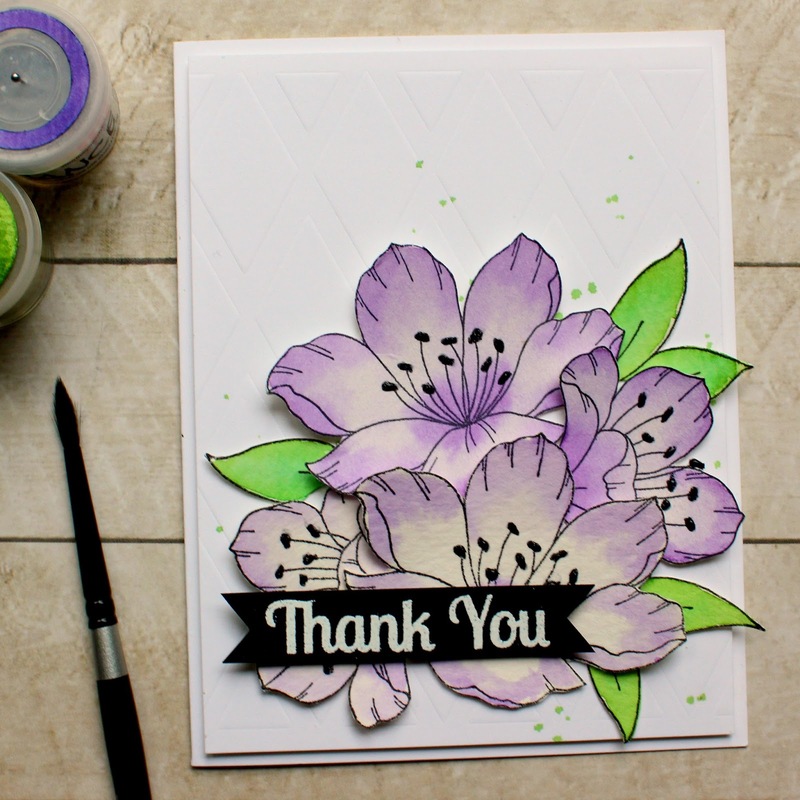 Next, I stamped the Azalea multiple times using Archival ink on to Canson XL 140 lb cold press watercolour paper. After watercolouring the flowers with Purple Nuance and the leaves with a mix Grass Green and Jade Nuance, I let them dry. Once dry, I fussy cut the flowers out seperate from the leaves being careful not to cut up the leaves. Next, I cut out the leaves. Then, I arranged some of each into a pleasing cluster and glued them such that they still had dimensional layers. I added some black glitter glue on to all the stamin centres. While that has drying, I white heat embossed the Thank You part of the sentiment stamp onto a thin strip of black cardstock and snipped it to form banner ends. Lastly, I added that with foam tape to pop it up. 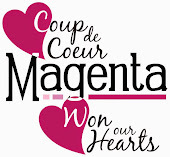 I hope you enjoyed today's card and that you give stencil dry embossing a try.